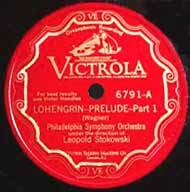 As was described in the www.stokowski.org site page entitled 'Leopold Stokowski - Philadelphia Orchestra Recordings of 1927 - Part 1' , 1927 was a year of intensivive recording activity. 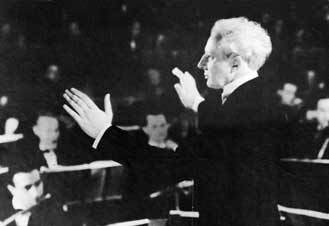 October was particularly intense as Stokowski prepared to his departure for a year of absence from the orchestra, which began at the end of October, 1927. Stokowski conducted no concerts during the 1927 - 1928 Philadelphia Orchestra season, which began in September 1927, but he and the orchestra recorded intensively in the Academy of Music during October, recording hundreds of 78 RPM sides, of which 38 sides were eventually released. Stokowski and the orchestra recorded in the Philadelphia Academy of Music on 3, 4, 5, 6, 8, 10, 11, 12, and 13, October 1927, a more intensive recording schedule than any other month in Stokowski's tenure as conductor of the Philadelphia Orchestra. He was to leave for Europe and Asia, and was away from November, 1927 until early September, 1928. In many ways, this was also a golden period, since Stokowski and the Philadelphia Orchestra produced some of the finest recordings they made together during 23 years of recording 1917-1940. Stokowski and the Philadelphians recorded the complete Franck d minor Symphony on ten 12 inch (30 cm) Red Seal electrical sides. This beautifully sounding recording was made in the Academy of Music on 3 November 1927, with a particularly large orchestra of 104 musicians: 17 first violins, 18 second violins, 13 violas, 12 celli, 9 double basses, 4 flutes, 4 oboes, 4 bassoons, 4 clarinets, 6 horns, 4 trumpets, 3 trombones, 1 tuba, 2 harps, 1 tympani, and 2 percussion. 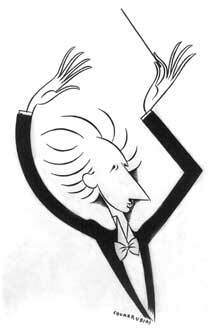 In his large-scale 1927 symphonic recordings, Stokowski made another important innovation. This was the inclusion of a single "talk side" in which Stokowski analyzes and illustrates the principal themes of the album's music. This "talk side" was included in four 1927 symphonic recordings: Beethoven - Symphony no 7, Brahms - Symphony no 1, Dvorak - Symphony no 9, and this recording of the Franck - Symphony in D minor. 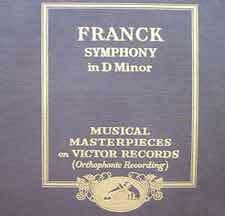 The analysis of the Franck symphony had been recorded 6 October 1927 in Victor's Camden Church Studio. This "talk side" includes Artur Rodzinski, Stokowski's assistant conductor, whom Stokowski had discovered in Poland and brought to Philadelphia. Rodzinski was at the piano, playing themes from the Symphony as Stokowski commented. This performance is permeated with a lush romanticism appropriate to the period of composition. Some listeners may find less favor in the somewhat episodic treatment of sections of the score and also the speeding up and slowing down of parts of Stokowski's performance. This speeding and slowing, not necessarily indicated in the score, is also characteristic of the famous Mengelberg Concertgebouw reading of this work. However, to my ears the Mengelberg interpretation is more mannered than the clean and dramatic Stokowski reading. However, all in all, this 1927 Stokowski recording is rich and satisfying, and must have been a revelation to the many gramophone listeners who had never had the opportunity to hear this work played in concert (probably nearly all of the gramophone listeners of that era). The playing is integrated and of a virtuoso level. Listen, for example, to the beauty of Anton Horner's horn theme in the second movement. The Franck Symphony in D minor in three movements with the analysis was issued as Musical Masterpiece album M-22 in 1928. This included five Victor twelve inch (30 cm) Red Seal disks, catalogue numbers 6726, 6727, 6728, 6729, and 6730. In Europe, the recording was issued on Gramophone Company D-1404, D-1405, D-1406, D-1407, and D-1408. The matrices are CVE 34730-3 CVE 34731-4, CVE 34732-3, CVE 34733-3, CVE 39340-2, CVE 39341-1, CVE 39342-1, CVE 39343-1, CVE 39344-1, and CVE 39345-1. Note that this recording was often made up of first takes. The "talk side was matrix CVE-40400. 1927 - Dvorak - Symphony no 9 in e minor opus 95 "From the New World"
Following the Franck Symphony, which had been recorded Monday and Tuesday 3 and 4 October 1927, on Wednesday and Saturday, 5 and 8 October 1927, Stokowski and the Philadelphia Orchestra recorded the Dvorak - Symphony no 9 in e minor opus 95 "From the New World". This was a re-recording of the Dvorak Symphony no 9 which he had recorded just two years previously among his first electrical recordings in May of 1925 (see 1925 recording of the Dvorak Symphony no 9). The 1925 recording was a success, both artistically and as to album sales. However, it would seem that Stokowski realized that with the improved recording system now installed in the Academy of Music, and with his new understanding of how to gain the best results from the electrical recording process, a new, improved recording was now called for. The remarkable results proved him to be correct. What more is there to say about this famous 1927 recording, so often praised over the years? Its sound is excellent, and the performance is thrilling. This excellent recording seems to me the most satisfying of the six commercial recordings Stokowski made of the New World. This recording was made on Wednesday and Saturday, 5 and 8 October 1927, just before the orchestra's Autumn subscription concert schedule began. In the description of the 1925 "From the New World", we saw that in 1926, the Victor Talking Machine Company began to package disk sets into albums, each having the title of "Victor Musical Masterpiece". This series of albums continued from 1926 to 1951, an impressive achievement. As we saw, the first album in the Victor Musical Masterpiece series in 1926 was Victor Musical Masterpiece M-1 album containing the 1925 Stokowski - Philadelphia recording of the Dvorak Symphony no 9 in e minor opus 95 "From the New World". These five Victor 12 inch (30cm) Red Seal disks, catalogue numbers Victor 6565, 6566, 6567, 6568, 6569 were placed in the first M-1 album. Then, somewhat confusingly, the new October, 1927 recording of this work was also placed in a Victor Musical Masterpiece album and again numbered M-1. To add to the potential confustion, the individual 1927 disks were given the identical Victor catalogue numbers: Victor 6565, 6566, 6567, 6568, and 6569. However, it is only necessary to listen to the disks to immediately know which is which. Gone is the 1925 tuba and the bass saxophone reinforcement of the string basses. Also, we have the ambiance and sense of a hall in the 1927 Academy of Music recording, instead of the 'dead' acoustics of the Victor studio in Camden Building no 15. Listen to the brief excerpt from the first movement, by clicking the link below, and judge for yourself. The 1925 excerpt is followed by 1927. As we have seen, another important Stokowski innovation in his large-scale 1927 recordings was the inclusion of a "talk side" in which Stokowski analyzes and illustrates the principal themes of the album's music. In this 1927 Dvorak "talk side", Stokowski analyzes the symphony, and Artur Rodzinski, at that time the assistant conductor of the Philadelphia Orchestra, plays the musical illustrations on the piano. This analysis is also interesting. To our ears today, some may judge this Stokowski commentary to be seem superficial and exaggerated ("...the end is like a blood-red sunset..."). However, we should recall that for many listeners, this may have been their first hearing of this symphony. In fact, in this era before talking movies, and before wide-spread radio broadcasting of concerts, this recording might have been a listener's first hearing of any symphony played by a symphony orchestra. Most people lived at a distance from the dozen or so US cities having a symphony orchestra which would provide any opportunity for most listeners to hear such a symphony. Also, impressive is the beauty and virtuosity of the Philadelphia Orchestra under Stokowski. Listening to contemporaneous recordings by other U.S. and European orchestras, I will offer the opinion that no other record company and orchestra was creating orchestral recordings which matched the sonic excellence and inspired performances of Stokowski and the Philadelphia Orchestra in this 1926 to 1929 period. Click on the links below to listen to this great recording and judge for yourself. On 2 May 1927 (unsuccessfully) and 11 October 1927 (successfully) Stokowski and the Philadelphia Orchestra recorded one of Stokowski's specialties, Ippolitov-Ivanov's Caucasian Sketches opus 10. Stokowski had performed this work when conducting his first concert on 12 May 1909 with the Colonne Orchestra in Paris. This 1927 recording of the movement Procession of the Sardar Stokowski decided to label March of the Caucasian Chief on the record label to better communicate the subject of the music. This October, 1927 recording, a remake of the April, 1922 acoustic recording was, in my opinion, the most thrilling version of the seven Stokowski recordings of this work. Although often considered as a "light classic", I find this performance by Stokowski transforms the music into a noble and moving evocation of Ippolitov-Ivanov's score. The Procession of the Sardar was issued on a 10 inch (25 cm) Victor Red Seal recording catalogue 1335 on Side A. Side B contained the 2 May 1927 recording of Alexander Glazunov's Scènes de ballet - 'Danse orientale'. In Europe, the recording was issued by the Gramophone Company on disk E-521. The matrix number is BVE 26442-5. Click on the link below to hear the 'Procession of the Sardar' from Ippolitov-Ivanov's 'Caucasian Sketches" opus 10. Another famous recording was made during the October, 1927 recording sessions. Leopold Stokowski and the Philadelphia Orchestra made a new recording of Igor Stravinsky's Suite from the Firebird, almost three years to the day from the October, 1924 Firebird recording. And what a contrast in the recording quality in only three years! This is a result of, not only the revolutionary improvement that was the Western Electric recording process, but also due to recording in the acoustics of the Academy of Music in Philadelphia. Also, because of the freedom of the electrical recording process, Stokowski was able to use 106 musicians for the 1927 Firebird, compared with only 34 players for the 1924 performance. The 1927 orchestra complement was: 17 first violins, 17 second violins, 12 violas, 12 celli, 10 double basses, 2 harps, 4 flutes, 4 oboes, 5 clarinets, 4 bassoons, 6 horns, 4 trumpets, 3 trombones, 1 tuba, 1 tympani, 3 percussion, and 1 celeste. To hear the dramatic difference in recording technology and in hall acoustics which took place in only 3 years, click on the link below that has one and a half minutes of Part II, the Berceuse music from the 1924 and then the 1927 performances. This 1927 recording is atmospheric and a glorious performance, with the Philadelphia string sound at its most sumptuous. However, there is a drawback. As well as the usual minor cuts and instrumentation changes, Stokowski has made an extensive cut in the finale of the last movement of the Suite. In fact, Stokowski had made this same cut in the 1924 acoustic performance, but cuts in the acoustic era were the norm. The extent of the cut is more than one minute, important in sides running three to four minutes. More significant is the change in the musical effect of the conclusion of this remarkable work. It would seem however that this cut was not for reasons of time. Stokowski made this same cut, not only in the 1927 recording, but again when he re-recorded it with the Philadelphians in November 1935, the November, 1940 recording with the All-American Youth Orchestra and also with the NBC Symphony Orchestra recording of April, 1942. Apparently, Stokowski felt that the somewhat repetitive nature of the build-up to the finale was better omitted. Yet others, presumably including Stravinsky, believed that this progression adds to the cumulative impact of this thrilling finale. Stravinsky was vocal in his resistance to the changes to his work in performance, and he likely did not condone this one, either, although I have seen no record of any comment by him. Stravinsky was usually careful to avoid any actions which might reduce his royalties (well earned) on his compositions. You can hear for yourself the effects of this change by clicking on the link, below. First is the ending to the Firebird Suite as conducted by Igor Stravinsky with the New York Philharmonic in a 1947 US Columbia recording, immediately followed by the ending in the 1927 Stokowski - Philadelphia Orchestra recording. Part 1 - Introduction, Dance of the Firebird, Dance of the Princesses, the Infernal Dance of King Kashchei. (The Introduction, Dance of Firebird, and Dance of Princesses are on matrices CVE 30992-4, CVE 30993-4 and the first half of matrix CVE 30994-4. Dance of King Kashchei is the second part of matrix CVE 30994-4 and the first half of matrix CVE 30995-5). Part 2 - Berceuse, Finale (Berceuse is the second half of matrix CVE 30995-5, and this concludes on matrix CVE 39356-1). 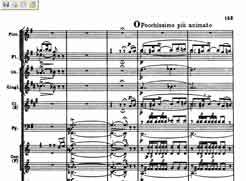 On October 12, 1927 Stokowski recorded a dynamic performance of the Rakoczy March from Berlioz's La damnation de Faust, opus 24. This piece, which concludes the first part of Faust, is also known as the "Marche Hongroise". Berlioz recounts in his Mémoires de Hector Berlioz, Deuxième Voyage en Allemagne in a letter to Humbert Ferrand 3 how he came to write this march with Hungarian themes. The Stokowski performance of 1927 is vigorous and filled with character and nuance. The Philadelphians play with splendor and a brilliant style. The sound of the recording is excellent, including bass strings and percussion. The 1927 recording is a triumph. Stokowski had previously attempted to record this march in 1923 with the acoustic process. It is easy to suppose that the acoustic recording process was simply not capable of reproducing the brilliance of the orchestration given to this music by Berlioz. In any case, Stokowski never approved this acoustic recording for publication. Compare this with the spirited 1907 acoustic performance by Édouard Colonne for Pathé. The performance and recording is sufficient to give a listener some degree of pleasure from the music. However, the limitations of the acoustic process, and perhaps the Pathé dubbing process, makes the reproduction of this famous Paris orchestra sound as if made up of children's instruments. It is another example that only with the advent of the electrical recording process was is possible for the record listener to receive a satisfactory impression of a full symphony orchestra performing immortal works. Have a listen to (or download) the Édouard Colonne acoustic performance recorded in Paris in about 1907. 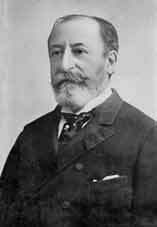 As you listen, keep in mind that Édouard Colonne (1838-1910) was the earliest-born famous conductor who made recordings of the great symphonic masterworks. On the final day of this rich week of Philadelphia Orchestra recordings, on Thursday, October 18, 1927, Stokowski recorded one of the finest performances of his career. This was of the Prelude to Act 1 of Wagner's opera Lohengrin. Recall that Stokowski and the Philadelphia Orchestra had recorded this work in 1924. The April 28, 1924 recording of the Lohengrin Act 1 Prelude was surprisingly effective, given the limitations of the acoustic recording process. 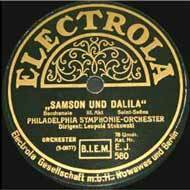 However, with the new Westrex electrical recording system installed in the Philadelphia Academy of Music with its excellent acoustics, this 1927 recording for the first time provided the technical ability necessary to reproduce this ethereal music. This recording seems to me the finest of the many fine Stokowski recordings of this work. It reinforces the concept of 1927 being perhaps the vintage year of recordings by Stokowski and the Philadelphia Orchestra. This recording sold well and remained in the Victor catalog until well into the 1940s. The 1927 recording was released in April, 1928 as a Victor twelve inch (30 cm) Red Seal disk 6791 and in Europe as the Gramophone Company disk D 1463. The matrices are CVE 30021-3 (later CVE 30021-4) and CVE 30022-3. The orchestra for this recording was: 17 first violins, 17 second violins, 13 violas, 12 celli, 10 double basses, 4 flutes, 4 oboes, 4 bassoons, 5 clarinets, 4 trumpets, 4 trombones, 6 horns, 1 tuba, 2 harps, 1 tympani, and 3 percussion. Stokowski recorded another orchestral showpiece the next day on October 13: Camille Saint-Saëns - Act 3 Bacchanale from Samson et Dalila, opus 47. This music comes from the final scene of the opera, which begins in the temple with a wild bacchanalia. After this dance, Dalila, and the High Priest and the Philistines taunt Samson, who prays to God to return his strength. Samson's prayers are answered, the the opera ends opera with Samson pulling down the temple, crushing the bacchanalia. This music proceeds at a breathless pace, emotionally charged, filled with passion, and with Saint-Saëns' scintillating orchestration, including castanets to emphasize the oriental flavor. Stokowski and the orchestra are at the heights of their virtuosity, and this recording is also sonically a great success. This recording remains today one of Stokowski's most brilliant recordings. The Samson et Dalila Bacchanale was issued in the Summer of 1928 on a 12 inch Victor Red Seal disk 6823, matrix number CVE-24630-6. This disk also featured the Rákóczy March from the Berlioz Damnation de Faust on the other side. In Europe, the Gramophone Company issued it on D-1807. Stokowski's arrangement is not worse than many others, but the performance, with ample portamento, and lush strings applies a romantic patina that seems to my ears to be not as satisfying as the keyboard version, whether played on harpsichord or a modern grand piano. At the same time as this recording, Wanda Landowska at her École de Musique Ancienne in Paris was teaching and popularizing the baroque performance style of Bach keyboard works on the harpsichord. She had previously, in 1909 written her book Musique Ancienne published in Paris by Editions Maurice Senart4. Landowska in her works and teaching struggled against the romantic retouching and transformation of baroque works, in particular of Bach. Of course this Prelude from the Well Tempered Clavier was played by her many times in her traversal of the 48 preludes and fugues. The alla breve time signature of this prelude indicates a fast pace, rather than the swooning, lush, romantic lingering over sonorities of this transcription and performance. Also recorded the next day on Thursday, 13 October 1927 was Bach's Chorale Prelude "Ich ruf' zu Dir, Herr Jesu Christ" BWV 639 ("I call to Thee, Lord Jesus Christ") from Bach's Orgelbüchlein in Stokowski's transcription. This is a particularly beautiful and innovative chorale written in three voice counterpoint. Stokowski would likely have highlighted the three voices of the chorale melody when playing it on the organ, compared with this more homogenized version for orchestra. Nicolai Rimsky-Korsakov's Schéhérazade opus 35 was recorded by Stokowski and the Philadelphia Orchestra in a wonderful performance in the Academy of Music October 8 and 11, 1927. This is a beautiful, and well-recorded performance, except for some occasional distortion caused by over-cutting of some of the matrices. Also, Victor does not seem to have released this recording in any of the more quiet surface versions of their albums. Having noted these problems, the recording remains wonderful and still satisfying today. This 1927 Stokowski recording was also the first electrical recording of this work. Again, the orchestra's playing is superb. The violin solo is performed gorgeously and with musical character by Mischa Mischakoff, who was then 32 years old and Concertmaster of the Philadelphia Orchestra from 1927-1929. Mischakoff had previously been Concertmaster of the Petrograd (St. Petersburg) Symphony, the Warsaw Philharmonic, the New York Symphony under Walter Damrosch. After Philadelphia, Mischa Mischkoff went on to become one of the most famous concertmasters of the twentieth century with the Chicago Symphony under Frederick Stock, Toscanini's NBC Symphony, the Detroit Symphony under Paul Paray, and others. (A great read is Anne Mischakoff Heiles biography of her father, Mischa Mischakoff entitled Mischa Mischakoff, Journeys of a Concertmaster 8. Stokowski recorded Schéhérazade throughout his career, beginning in the Philadelphia Orchestra's acoustic recording period. Two acoustic movements from Schéhérazade were released. These were the March 25, 1921 recording of 'III: Young Prince and Young Princess' and the May 9, 1919 recording of 'IV: Festival at Baghdad'. 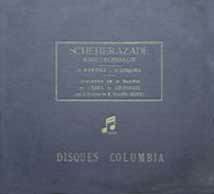 In fact, this 1927 recording was one of at least 5 commercial recordings and several other live recordings of Schéhérazade made by Stokowski during his career. By 1927, the Philadelphia Orchestra was certainly one of the great symphony orchestras of the world, and judging from the many orchestral recordings of the late 1920s, more consistently excellent than many of the most famous orchestras of Europe. The 1927 Schéhérazade recording seems to be occasionally overcut, such as small portions of sides one, three and six of the original 78 RPM disks. Also, there is some change in acoustic perspective between the Saturday, October 8, 1927 recording session and the Monday and Tuesday, October 10 and 11, 1927 sessions. This is likely due to changes in orchestra and microphone placement. These acoustic differences make the transitions between some sides (such as from side one to side two at about 4:39) difficult to match. It was Stokowski's practice at this time (and also later), to make a number of minor cuts and instrumental changes in this performance of Schéhérazade. One cut that is not so minor, and surprising is the passage at the end of ‘The Young Prince and Princess’, beginning at figure O (marked Pochissimo più animato). This passage of 30 bars, cut from the score, shown below, was made in both Philadelphia versions of Schéhérazade. This Stokowski - Philadelphia Orchestra performance was not only the first electrical performance of Schéhérazade, but it was also unmatched in both interpretation and orchestra playing for a number of years. 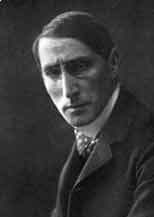 The next year, in 1928, Oskar Fried and the Berlin Philharmonic Orchestra recorded Schéhérazade for DGG/Polydor. The Philippe Gaubert (1879-1941) recording with l'Orchestre de la Société des Concerts du Conservatoire was recorded in July 1928 and April 1929, and issued in 1930 on 11 sides of a French Columbia recording. Neither Fried nor Gaubert come close to matching Stokowski and the Philadelphia Orchestra. It is interesting to compare the conventional, earth-bound performance from Fried, who was normally a firebrand as a conductor, with the intense and poetic interpretation by Stokowski. Also, as we have heard in other examples, the famous Berlin Philharmonic Orchestra, as recorded at this time does not match the Philadelphia Orchestra either in virtuosity or in ensemble if one listens to the entirety of each performance. Click on the link below to hear the first minutes of each of the Fried/BPO and Stokowski/PO performances, and judge for yourself. Among the many Stokowski recordings of Schéhérazade in 1927 and 1934 with the Philadelphia Orchestra, and the later recordings of 1951, the live performances of 1962, 1964, and the 1975 RPO performance, 56 years after his first acoustic recording (! ), this 1927 Schéhérazade is for me the most satisfying of all. The performance is both lush and elastic, with the virtuous solo performances showing the Philadelphia Orchestra at what may have been its peak level during the years between 1927 and 1929. Listen by clicking on the links below, and judge for yourself ! Tuesday and Wednesday, October 11 and 12, 1927 were certainly busy days for Stokowski and the Philadelphia Orchestra. On the 11th, they recorded Rimsky-Korsakov's Schéhérazade, and Debussy's Fêtes, and the ballet music from Schubert's Rosamunde. Then, on Wednesday, they recorded the Prelude to Act 4 from Mussorgsky's opera Khovanshchina, as well as Stravinsky's Suite from the Firebird, Stokowski's orchestration of the Bach Prelude no 8 in e flat minor from the Well-Tempered Clavier, and the Rakoczy March from Berlioz's La damnation de Faust. Whew! Mussorgsky's music always seemed to inspire Stokowski, and the dark sonorities of Mussorgsky's music are beautifully brought out by the rich bass foundation in the orchestra in Stokowski's performances. In spite of the sonic limitations of the 1927 recording technology (although greatly improved in only 2 years), still somewhat restricted in frequency range and dynamic range, this is a beautiful recording. This recording was issued on a Victor 12 inch (30 cm) Red Seal disk 6775 (the B side), matrix CVE-27069-5 which was included as the final side in Victor album M-53. This was the Musical Masterpiece album in which the main work was the Stravinsky Firebird Suite, recorded the same day. One of the best-selling Stokowski - Philadelphia orchestra recordings during the 1920s was of the ballet music from Schubert's Rosamunde recorded in the Academy of Music 2 May (unsuccessfully) and 11 October 1927 (successfully). This was music composed by Schubert for a now long-forgotten play by Helmina von Chézy (1783-1856); she had also written the libretto for Carl Maria von Weber's opera Euryanthe. The first, unsuccessful recording of Rosamunde on 2 May 1927 was on a 13 inch (30 cm) matrix CVE-37497, perhaps to be the 'flip side' of another 12 inch Stokowski recording, even though the length of the recording did not require the longer recording time of the 12 disc. The 11 October 1927 recording was on a 10 inch (25 cm) Victor Red Seal record Victor 1312, matrix BVE 37497-1, released in March 1928. This performance was on the other side of the Schubert Moment Musical in F which Stokowski and the Philadelphians had recorded on 6 April 1927. This recording was made with the large orchestra of 17 first violins, 17 second violins, 13 violas, 12 celli, 10 double basses, 4 flutes, 4 oboes, 4 bassoons, 5 clarinets, 4 trumpets, 3 trombones, 6 horns, 1 tuba, 2 harps, 1 tympani, and 3 percussion. 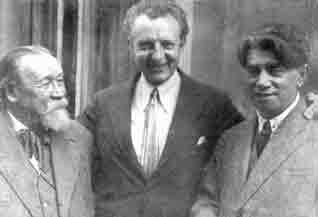 On October 11, 1927, Stokowski and the Philadelphians recorded the second of the Claude Debussy Nocturnes, number 2 - Fêtes. The original title Debussy used when writing these three Nocturnes during 1897-1899 was "Three scenes at twilight" - "trois scènes au crépuscule". Debussy had originally conceived of the works as being for solo violin and orchestra. The music was said by Debussy to be inspired by paintings by James Whistler (1834-1903), which which Debussy saw at the home of Stéphane Mallarmé (1842-1898) in about 1896. The orchestral texture is particularly beautiful and evocative, although apparently Debussy altered the orchestration several times, not being satisfied with the balance. "...The title Nocturnes is to be interpreted here in a general and, more particularly, in a decorative sense. Therefore, it is not meant to designate the usual form of the Nocturne, but rather all the various impressions and the special effects of light that the word suggests. Stokowski gives us a glorious and atmospheric rendition of Fêtes, with kaleidoscopic shifts of color. The recording at times skims over musical details, but the forward momentum and atmosphere is exhilarating. This is also one of the very best sounding Orthophonic recordings of the 1920s. Stokowski was to make another beautiful recording of the first movement of Debussy's Nocturnes: Nuages in May 1929. This recording was issued on two sides of a Victor ten inch (25 cm) Red Seal disk catalogue 1309. The matrices are BVE-39354-2 and BVE-39355-2. In Europe, it was issued by the Gramophone Company in a 10 inch disc E-507. 2 Berlioz, Hector. Mémoires de Hector Berlioz. Deuxième Voyage en Allemagne à M. Humbert Ferrand. 3ème Lettre. 1861. "...Au nombre des morceaux qui le composaient se trouvait la marche qui sert maintenant de finale à la première partie de ma légende de Faust. Je l’avais écrite dans la nuit qui précéda mon départ pour la Hongrie. Un amateur de Vienne, bien au courant des mœurs du pays que j’allais visiter, était venu me trouver avec un volume de vieux airs quelques jours auparavant. « Si vous voulez plaire aux Hongrois, me dit-il, écrivez un morceau sur un de leurs thèmes nationaux; ils en seront ravis et vous me donnerez au retour des nouvelles de leurs Elien (vivat) et de leurs applaudissements. En voici une collection dans laquelle vous n’avez qu’à choisir. » Je suivis le conseil et choisis le thème de Rákóczy, sur lequel je fis la grande marche que vous connaissez..."
4 Landowska, Wanda. Musique ancienne Le Style L'Interprétation. Editions Senart 1909 Paris. 6 "Le titre Nocturnes veut prendre ici un sens plus général et surtout plus décoratif. Il ne s’agit donc pas de la forme habituelle d’un nocturne mais de tout ce que ce mot contient d’impressions et de lumières spéciales. Nuages: c’est l’aspect immuable du ciel avec la marche lente et mélancolique des nuages finissant dans une agonie de gris, doucement teintée de blanc. Fêtes: c’est le mouvement, le rythme dansant de l’atmosphère, avec des éclats de lumières brusques, c’est aussi l’épisode d’un cortège (vision éblouissante et chimérique) passant à travers la fête, se confondant en elle de poussières lumineuses participant à un rythme total. Sirènes: c’est la mer et son rythme innombrable, puis, parmi les vagues argentées de la lune, s’entend, rit et passe le chant mystérieux des sirènes. ". 7 Covarrubias, Miguel The Prince of Wales and Other Famous Americans. Alfred A. Knopf. New York. 1925. 9 Arnold, Claude Graveley, C.S.B. The Orchestra on Record, 1896 - 1926, An Encyclopedia of Orchestral Recordings Made by the Acoustical Process. Discographies, Number 73, Greenwood Press, Westport Connecticut. 1997. ISBN 0-313-30099-2.